One of the authors then looked at all of the medical records for quetiapine prescriptions, dosing, and indication. 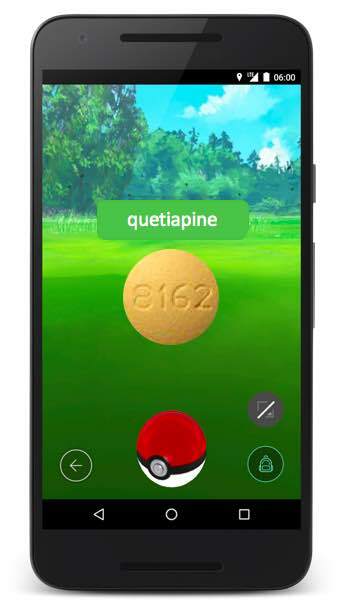 If they didn't have a comorbid psychiatric condition (eg, schizophrenia, major depressive, or bipolar affective disorder) or evidence of delirium it was assumed that they were receiving night time dosing of quetiapine for sleep. What they found was shocking. One out of every ten patients (13.0%) received quetiapine during hospitalization, 64.0% of which received the medication at bedtime for sleep. That’s 8% of hospitalized patients getting quetiapine for sleep. Most of these individuals were newly initiated on this antipsychotic in the hospital. 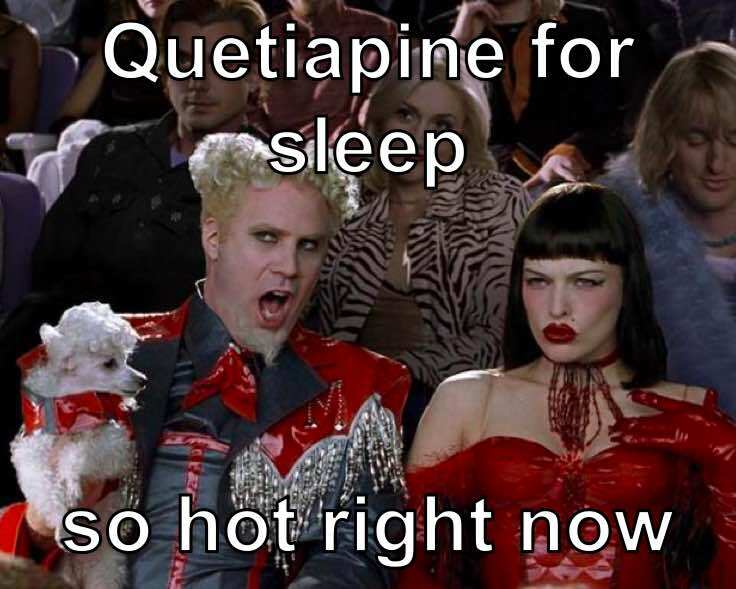 Sadly, 1 in 7 patients who first received quetiapine for sleep in the hospital was discharged home with at least a 1-month prescription. Seriously. Antipsychotics for sleep. Really, is this the best we can do to help with sleep in the hospital? If you want to read a good case of why this is just bad practice, take a look at the Teachable Moment case from that same JAMA IM issue. Is this a thing at your hospital too? In post-acute, skilled nursing settings, we are required to consent patients/healthcare proxies whenever we prescribe psychoactive medications and specifically antipsychotics. We have also noticed a small rise in patients being discharged to us on antipsychotics for insomnia, often without their clear understanding or consent. For so many reasons, not a good practice. As attendings and geriatrics consultants we should be taking a stand and educating trainees about the dangers of this approach. I agree with @Fallis: "It's ridiculous that these are being prescribed for sleep"
I don't think it's ridiculous. Just take more time for it.